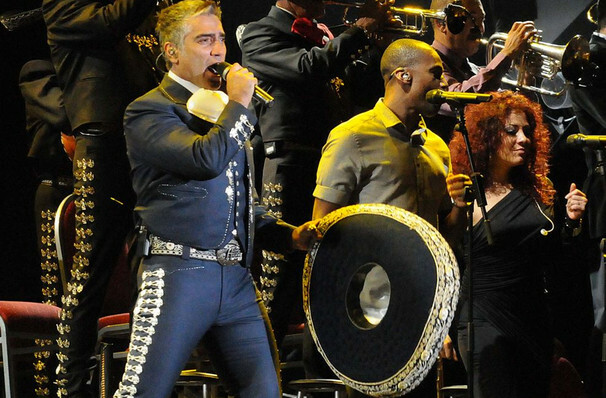 A diverse co-headline bill sees two Mexican legends in their own right share the stage! Why See Alejandro Fernandez and Los Tigres del Norte? In the early months of 2018, two legendary Mexican music stalwarts joined forces to release the smash hit crossover single 'Para Sacarte De Mi Vida'. 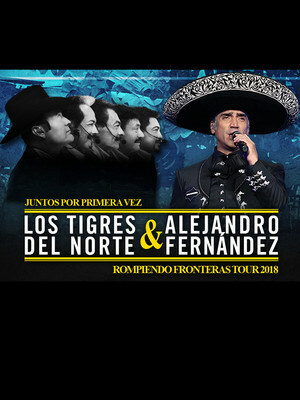 Expanding on their surprising success, iconic norteno outfit Los Tigres del Norte and ranchera idol Alejandro Fernandez are hitting the road for the 'Rompiendo Fronteras' (Breaking Frontiers) Tour this fall, marking the first time the unusual pairing of these diverse musical styles has hit US shores. Dubbed 'El Potrillo' (The Colt) by his legions of adoring fans and the media, Fernandez has the Mexican musical tradition running through his veins. The son of famed ranchero crooner Vicente Fernandez, El Potrillo has enjoyed his own successful career out of his father's shadows, selling over 30 million albums internationally thanks to his heady blend of mariachi, ranchera and modern pop. Hailed as Mexico's answer to the Beatles, Los Tigres del Norte have been entertaining the masses with their accordian-soaked norteno and corrido since the early 70s. Sound good to you? Share this page on social media and let your friends know about Alejandro Fernandez and Los Tigres del Norte at Save Mart Center.